24 Customer Reviews on Amazon. When a camping trip uncovers a corpse, this amateur sleuth is stuck putting out the fire. Marty vows to investigate. After all, it’s poor manners to let a friend’s death go unsolved. As he digs deeper, a misbehaving pup, a kooky cousin, and a maniacal ninja put his survival skills to the test. 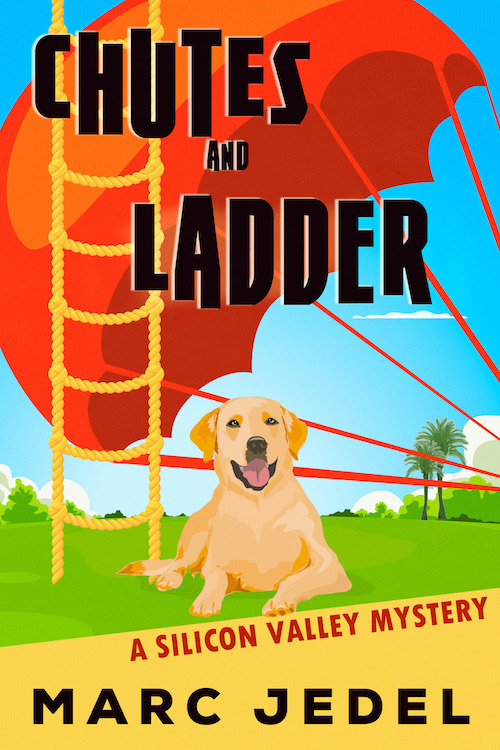 Like quirky sleuths, wacky sidekicks, and laugh-out-loud moments? You’ll love this offbeat whodunit. 149 Customer Reviews on Amazon. If you like clever humor, sassy side characters, and average Joes facing extraordinary circumstances, then you’ll love this twisty mystery. Filled with suspense, the story’s appealing characters and humorous situations create an exceptional and entertaining plot which ensnares the reader. I had a hard time putting down this book! Marty is a funny leading character whose snarky inner voice adds a lot of humor. Right when you assume something is going to happen, you’re thrown a plot twist. If you’ve enjoyed Carl Hiassen books like Razor Girl or Bad Monkey, this should be a must read” for you! It’s a modern high-tech thriller with great human insights. This was exactly the kind of book I was in the mood for — a light-hearted, funny mystery. If you want a fun, snappy mystery, this is a great book.